Spooky Igloo Reviwed By You! For the Halloween igloo contest I like to decorate my igloo like a haunted mansion. I usually cover my floor with red carpets and use a lot of medieval decorations. My favorite decoration is the painting with the eyes that follow your mouse,creepy but cool! I also like the cauldron and the spider webs because they are also really spooky. But the things you can have a haunted house without are jack-o-lanterns! Wow that's really cool Buttercup19! 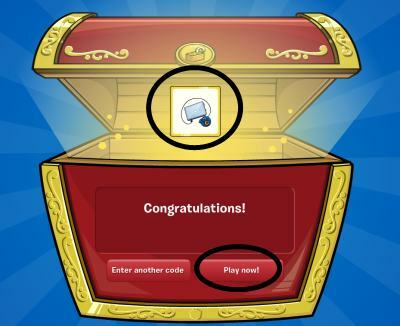 This week since CP's fifth birthday is coming up, Club Penguin wants to know what your first Club Penguin Party was.